At the panel discussion after the session I, Mr.Mizoguchi (Chairman of Planning Committee of JASE-W), Executive officer of Sumitomo Corporation, introduced the JASE-W, their activities in Vietnam of Heat Pump & Inverter WG, and the booklet of their Technologies and Products. At the entrance of conference room, JASE-W had a stand and displayed the brochure of JASE-W, etc. 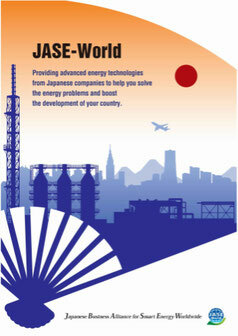 The CD of JASE-W Products and technologies had distributed all the attendance. Event was a great success.